Today we’re going to talk to Nicolas Gaudreault. 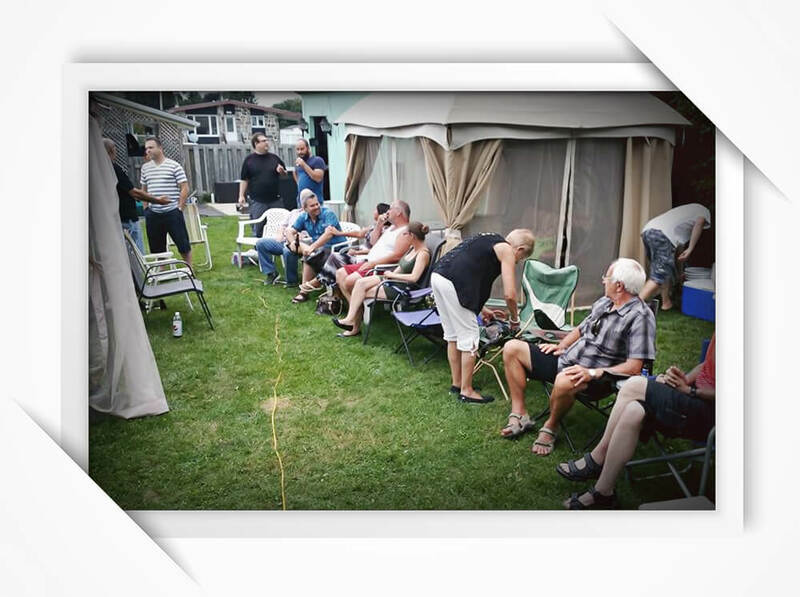 Nicolas is the founder of the GoHabsGo League and organizes biannual gatherings for members of his League to get know one another better. He’s here to offer some insight into his experiences hosting gatherings and what you can do if you want your League to host one. 1. When did you first create this League? About three and a half years ago now. 2. How often do you have your League gatherings? We’re having these roughly twice a year now. I think it’s important to have good relationships with your fellow players. 3. How many players usually take part and where are they all from? 35 players took part initially. This year we’ve averaged about 40 to 45 players, all of them French speakers, from Quebec. We have another League Member likely coming to our next gathering who is French. 4. Does it take a long time to organize a gathering? No, not so long … it takes me about a day or so, and I give our League Members at least one month advance notice. 5. Do you like the flag that Plarium sent you? I really like the flag. The others like it too. 6. When are your next gatherings happening? They happen every January and August. 7. What suggestions can you give to other players who want to hold a gathering with their own League? To be well organized and find a space big enough to welcome everybody. Of course, a fire is pretty cool, music too … but don’t forget to have something ready in case it rains and you need to go indoors. 8. Do you think having these gatherings has helped your League come closer together? Organizing our first gathering was pretty stressful. You’re just not sure what’s going to happen or what kind of people your fellow players are in real life. But then you all get together and everything’s cool. Everyone’s having fun like they’re kids again. There’s no doubt that the connections between our League Members are now stronger. That’s why we do this twice a year. And each time more and more players show up. Who doesn’t love a party? Thanksת Nicolas! Good luck to you and your League in all future endeavors! This article was written by player Nicolas Gaudreault, who granted permission for it to be posted on Plarium.com. Any thoughts or views expressed herein are the player's own, and do not necessarily reflect the views of Plarium Global.